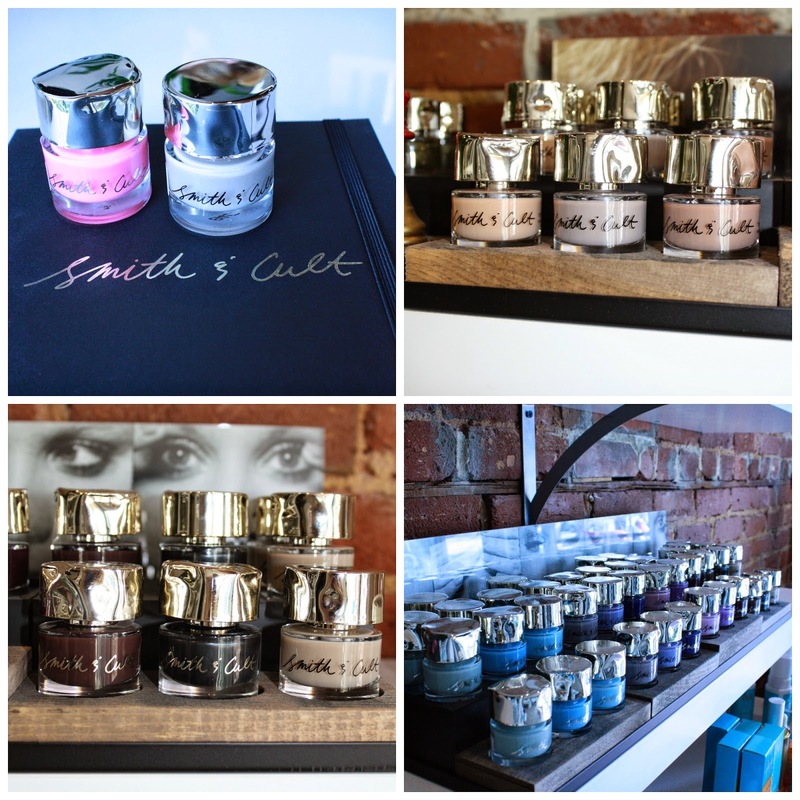 Smith and Cult is a line of nail lacquers created by Dineh Mohajer (previously, Hard Candy). The colors are bold and the packaging is very appealing. It is also a 5 free polish which means it is developed without Dibutyl, Phthalate, Toluene, Formaldehyde, Formaldehyde Resin, and Camphor. 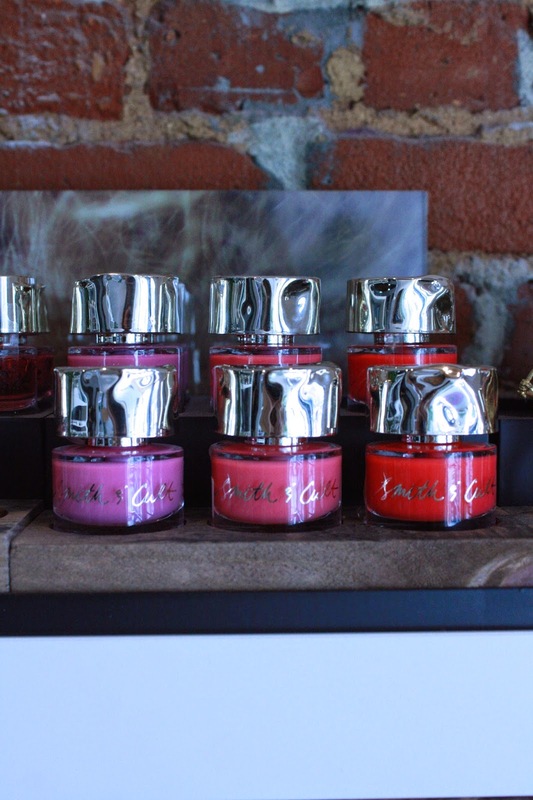 The line contains a basecoat, Basis of Everything, and a topcoat, Above it All. Style Downtown carries this line and the salon owner, Cortney Campus, asked if Emily and I were interested in taking some colors on a test run. We were happy to book manis and pedis in the interest of research. I picked a neutral color called Honey Hush for my nails and it has held up very well. No nicks or scratches and it has been four days!